Llew is a seasoned entrepreneur and technologist. 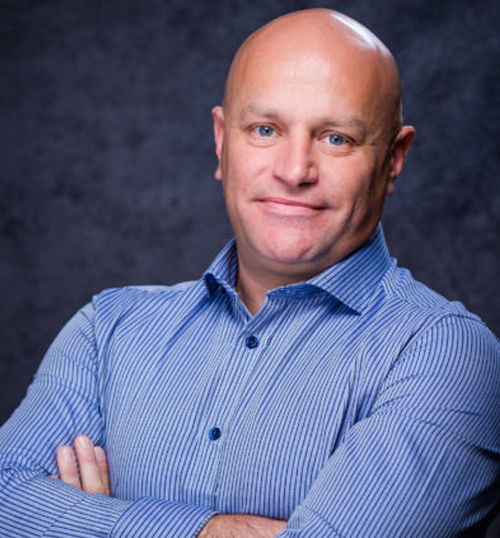 As visionary and founder of ProsperiProp, his role includes setting the overall direction and vision of the business as well as guiding marketing, technological design and development. As technologist, Llew started and operated a mobile technology company in South Africa for more than twelve years. Back in 2002 this business developed some of the first “mobile apps for business” and worked closely with large corporates that include MTN and global advertising giant, Ogilvy. As FinTech entrepreneur, Llew was a driving force behind the successful establishment and sale of South Africa’s premier online escrow portal. He spent his forming years working in IT project management in major South African banks. He was involved in banking portal development, TV banking and later mobile banking development. Llew studied towards a marketing degree at the Rand Afrikaans University and later earned both B.Tech and E-Tech software development qualifications. He is a Java certified developer, qualified Java trainer and experienced software engineer. ProsperiProp is a member of the AlphaCode fintech incubator, a Rand Merchant Investments initiative.